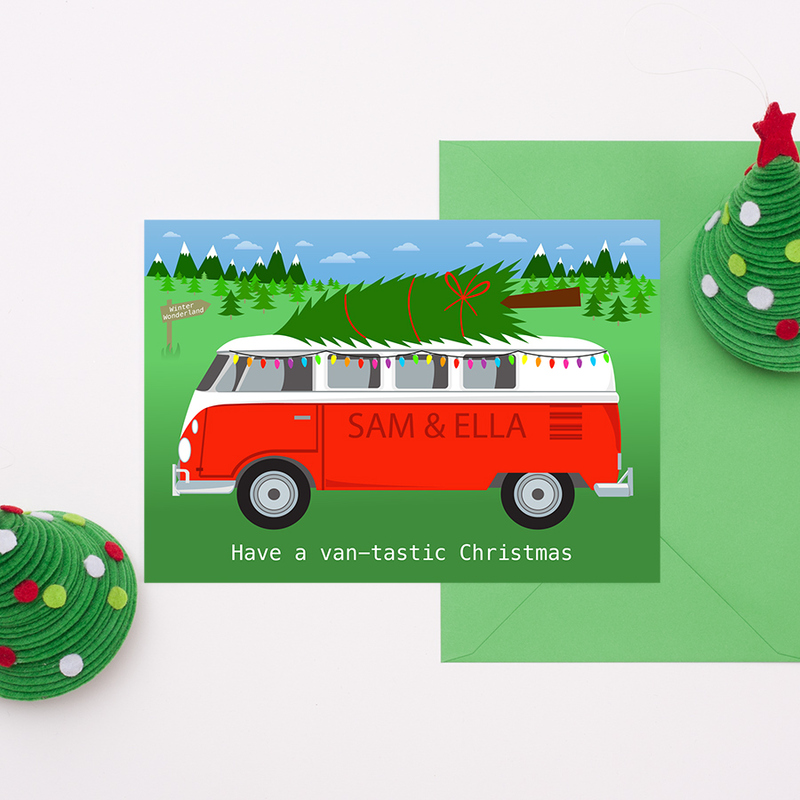 What exciting festive adventure is this camper van about to embark on? A ‘van-tastic’ vibrant Christmas card, perfect for a VW fan or for someone who loves the great outdoors. The design features a gorgeous red camper van, driving home for Christmas with a Christmas tree on the roof, with the fun phrase ‘Have a van-tastic Christmas’. The card is available in A5 size and also A6 size and is blank inside for your own special message. 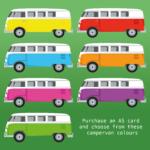 The A5 card (only) can be personalised, you can add any name/s, relative name/s or family surname along the side of the camper van. 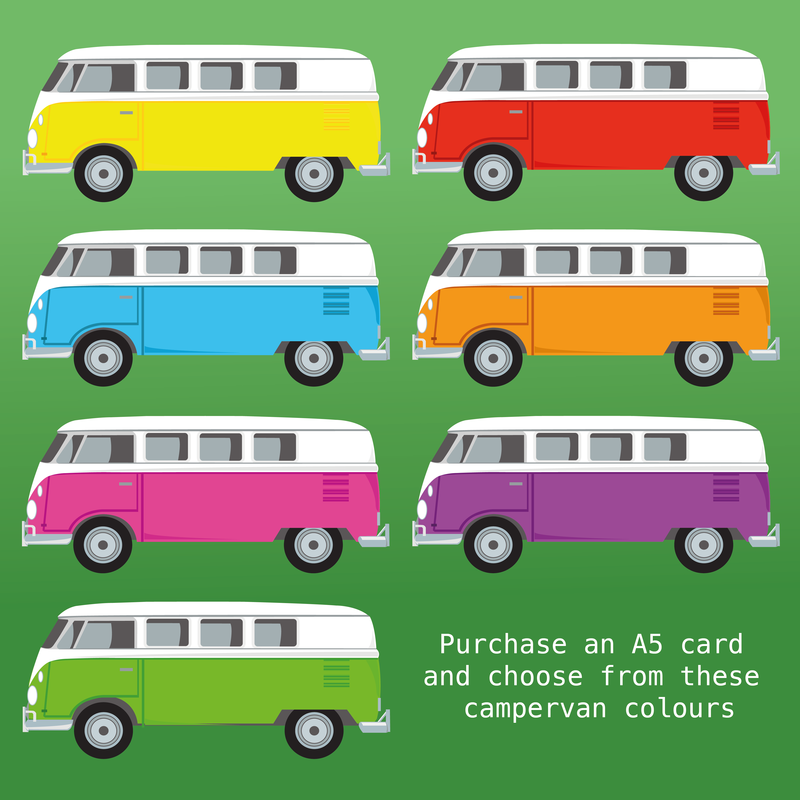 On the A5 card you can also change the colour of the camper van, the last image shows the colours which are available (yellow, red, blue, orange, pink, purple and green). Please fill in your chosen colour in the ‘Special Notes & Requests’ box. Be the first to review “Camper Van Christmas Card” Click here to cancel reply.